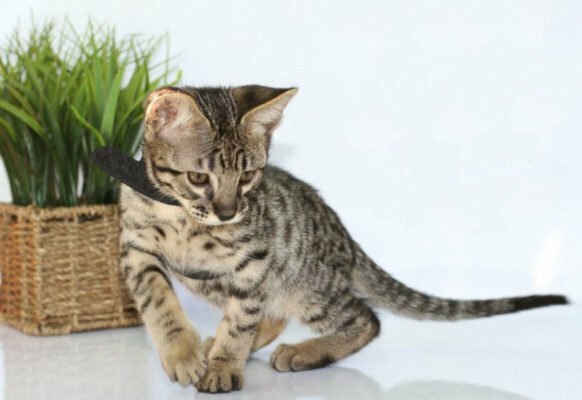 As a breeding member of the Savannah Cat Association, I pledge that I understand the principles of integrity, fairness, and respect for potential kitten owners and fellow breeders. I acknowledge that my cats and kittens are getting the best possible veterinarian care, testing, up-to-date immunizations, attention, and living environment available. I have agreed to follow the Savannah Cat Standard as set down by TICA and will only place breeders that meet this standard. I will try to make every kitten adoption one that best fits the situation for the kitten as well as the adoptive parents. If an issue arises, I will work with the kitten’s new family to ensure they are happy. I will always take back all kittens or cats that I have placed if necessary. I agree to honor all contracts as written. Also to accept S.C.A. mediation of my peers, if or when all other avenues of negotiation and resolution have failed.